According to the conservation organization, Conservation International, seventeen countries worldwide concentrate between 50 and 65% of the planet’s species within their boundaries. Of these mega-diverse countries, Ecuador is the smallest, with an area equivalent to the size of the state of Arizona, occupying only 0.19% of the world’s surface area. But Ecuador also has the highest concentration of species. One of the most biodiverse and threatened areas within Ecuador is the Tumbesian Bioregion, found in southwest Ecuador. 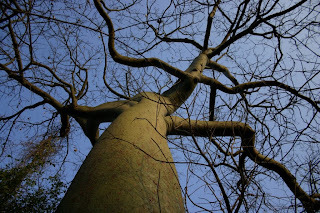 The dry forests of this area are dominated by large, emergent trees of the family Bombacaceae, including the ceiba or kapok tree Ceiba trichistandra, whose seedpods were harvested for their cotton used to fill life vests during the Second World War, and still is used locally to stuff mattresses. 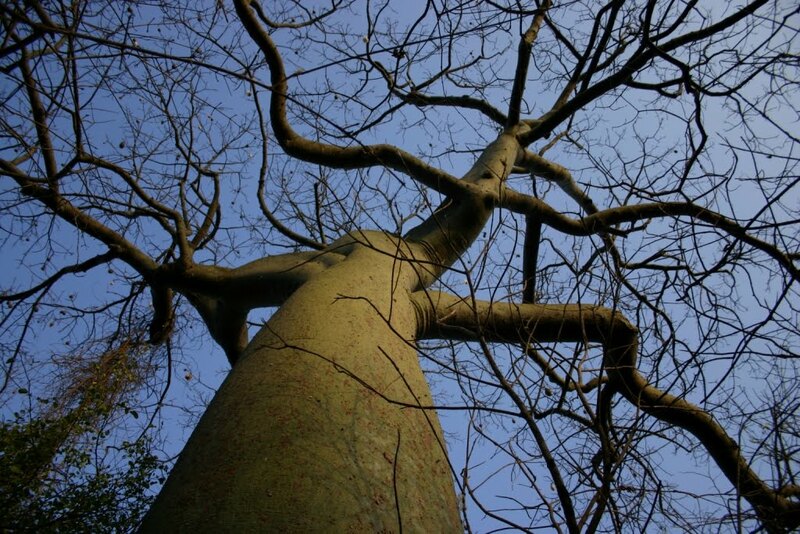 These forests support high levels of endemism and are extremely threatened. The diversity of habitat types in the dry forest region includes desert scrub, intermontane thorn-forest and deciduous and semi-deciduous forest, between 0 and 600 meters in elevation. Average precipitation ranges from between 300 and 1500 mm per year, with great fluctuations during “El Nino” years, when rainfall may be 200 times as high as a normal year. The climate of this zone is directly related to the presence of the cold Humboldt Current and the warm El Nino and Panama currents. An important source of moisture in the hills and mountains is the sea mist known as Garua that forms during the austral winter, which condenses on trees and drips to the ground. The flora and fauna of Ecuadorian Dry Forests are characterized by having acquired certain physiological-adaptive characteristics that allow them to survive extreme conditions of temperature and dryness. The forests of this ecoregion are considered one of the areas of the world that are most at risk of biological extinction as the result of deforestation, agriculture and urban expansion, among the principal causes. It is estimated that Ecuadorian Dry Forest has been reduced to 1% of its original range, and much of the remaining forest is degraded. One of the principal protected areas that include Ecuadorian Dry Forest is the Cerro Blanco Protected Forest, which includes 14,826 acres of land on the doorstep of Ecuador’s largest city, Guayaquil, with 2.1 million inhabitants and growing. The reserve is made up of a series of seven forest-cloaked hills in the eastern extension of the Cordillera Chongon-Colonche to 1,663 feet in elevation. The hills are divided by ravines with artisanal springs that provide water for both wildlife and local residents who live near the reserve. A total of 219 bird species are found in Cerro Blanco, including thirty-seven (28%) southwest Ecuadorian endemics and an unusual diversity of raptors, including 15 species of hawks and kites and six species of the falcon family. Cerro Blanco protects nine globally threatened and endangered bird species, including the endangered Great Green Macaw Ara ambiguus guayaquilensis, the conservation symbol of the reserve. In 1998, Birdlife International declared Cerro Blanco the second Important Bird Area (IBA) in Ecuador. The mammal fauna of the area is typical of dry tropical forest and includes 54 mammal species (21 bat species), such as Mantled Howler Monkey Aloutta palliata and White-fronted Capuchin Cebus albifrons aequatorialis, White-tailed and Red Brocket Deer Odocoileus virginianus, Mazama americana, six species of felines, including Jaguar Panthera onca and Puma Felis concolor as well as smaller cats such as Ocelot Leopardus tigrinus and Jaguarundi Herpailurus yaguarondi. Almost half of the Cerro Blanco Protected Forest is within the city limits of Guayaquil and the rapid expansion of the city in the last ten years, mostly through squatter settlements in the Cerro Blanco reserve buffer zone, have put pressure on the reserve’s forests and fauna. Residents of nearby squatter settlements sometime enter Cerro Blanco to hunt wildlife for the pot or for sale in local markets, especially deer, collared peccary and agouti, a forest rodent with succulent flesh. Trees are sometimes cut and dragged out to nearby roads to be sawed and sold as lumber in the city. During the six-month dry period from August through January, Cerro Blanco is vulnerable to forest fires, often started in adjacent lands to clear them or by hunters within the protected forest. Land traffickers with ties to political parties and politicians have tried to take over parts of the Cerro Blanco Protected Forest on three occasions, in 1997, 2000 and 2010. Despite its status as a protected area declared as such by the Ecuadorian government, the demand for land is high and traffickers often bribe officials to receive bogus building permits or land titles. Recognizing the value of Cerro Blanco for the protection of biodiversity as well as ecosystem services such as water production and the sequestration of Carbon Monoxide and other greenhouse gases produced in its nearby cement producing plant, La Cemento Nacional, an Ecuadorian cement company, formally requested the Ecuadorian government to declare Cerro Blanco as a protected forest, a designation that allows private lands to be given some degree of protection in Ecuador. The Ecuadorian Ministry of Agriculture declared an initial 2,000 hectares of La Cemento’s lands a protected forest in 1989. Eric Horstman, then a U.S. Peace Corps volunteer, prepared management guidelines for the newly created reserve in 1990, to begin to implement conservation programs on the ground, including boundary demarcation, dry forest restoration, scientific investigations and conservation of the Great Green Macaw and the creation of an environmental education program. Due to its close proximity to the city of Guayaquil, Cerro Blanco is one of the most accessible protected areas in Ecuador, and since its creation, has developed a visitor infrastructure that includes seven guided and self-guided nature trails, a open air amphitheatre for special events, camping and picnic area, and cabin for overnight stays. Cerro Blanco receives an average of 4,500 visitors a year, the majority residents of the city of Guayaquil. 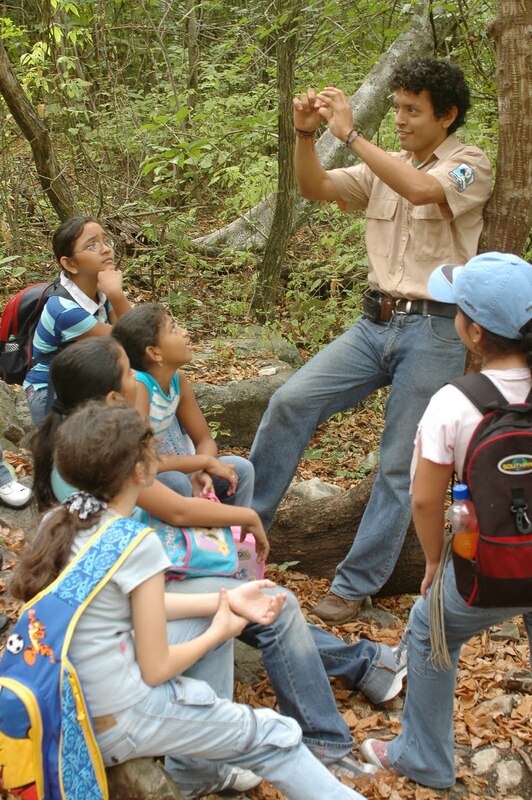 Trained naturalist guides, mostly local university students, take visitors on guided walks in the forest, as well as carry out special programs with school groups, including campouts and tree planting. Too date, more than 160,000 Ecuadorians have visited the Cerro Blanco Forest. A total of five backcountry guard stations have been constructed in strategic locations within Cerro Blanco, where nine forest guards of the Pro-Forest Foundation are stationed and provide protection for the forest on a permanent basis. Limitations in Ecuadorian law do not permit guards to intercede directly when infractions against nature are committed and the environmental unit of the Ecuadorian National Police provides law enforcement through weekly patrols and monthly camping expeditions in Cerro Blanco. Thanks to this key support and education efforts in adjacent communities, wildlife poaching, timber cutting and forest fires have dropped off considerably. The occupation of flatter areas of the Cerro Blanco Protected Forest by squatters over a ten-year period before the establishment of the reserve, led to over 450 hectares of land being cleared through slash-and-burn agriculture and re-planted with an exotic African grass. 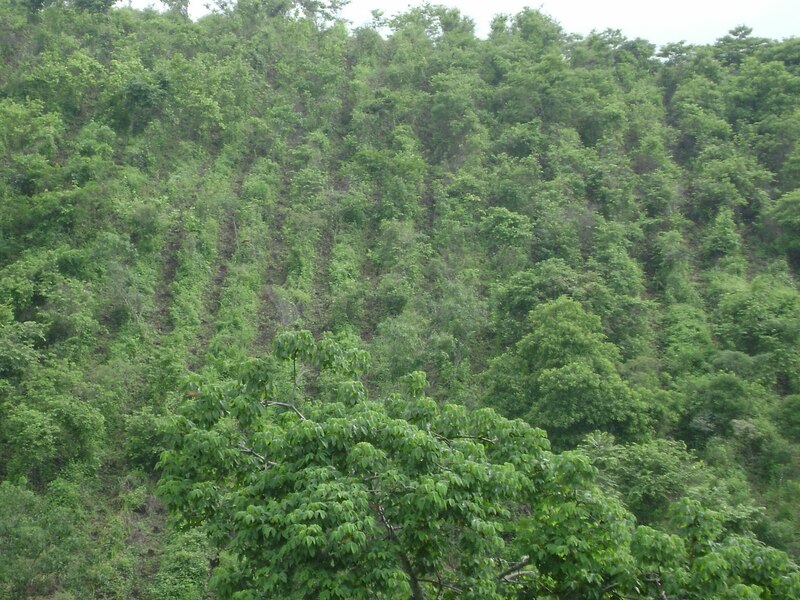 Beginning in 1993, the Pro-Forest Foundation has worked to restore dry tropical forest in formerly cutover areas, using more than 35 native tree species produced in the foundation’s nursery. Planting sites called enrichment parcels are prepared in the grasslands and scrub vegetation in cutover areas. Trees are planted in numbered rows around existing trees. Workers carry out manual clearing of competing grass and vines on the outset of the winter rains, and again during the dry season, to allow trees to compete for light and moisture. Holes between 30 and 40 cm are dug for each tree and fertilizer added at the outset. With the support of the World Land Trust UK and its Carbon Balanced Program, the Pro-Forest Foundation has restored close to 350 hectares of cutover land with more than 350,000 native trees. Overall survival rates of the planted trees have been between 65 and 75%, very good considering that there are no accessible water sources and watering. The planted trees depend exclusively on the winter rains. The project has become a model for similar efforts in other parts of the country. The Great Green Macaw is a flagship species for the conservation of the Ecuadorian Dry Forest. This magnificent species, one of the largest macaws in the world, is found in the wild from Honduras to Ecuador. The Ecuadorian population is a unique subspecies, guayaquilensis, which is reduced to between 30 and 40 individuals in two geographically separated populations in coastal rain and dry forests. While officially listed as endangered throughout its range, the status of the guayaquilensis subspecies in Ecuador is critically endangered, with the Cerro Blanco Protected Forest supporting a resident population of between 9 and 11 macaws. Since 1993, the Pro-Forest Foundation has worked to save the Great Green Macaw through round the clock protection of its nest sites to prevent the taking of chicks for the pet trade, habitat restoration utilizing native trees used as food sources and potential nest trees, and environmental education and awareness building with more than 2,000 children from communities surrounding the Cerro Blanco Protected Forest. Recognizing the need to expand its efforts on behalf of the Great Greens to the rest of the country, the Pro-Forest Foundation organized and carried out a workshop in 2005 to prepare a national conservation strategy for the Great Green Macaw, with both Ecuadorian and international experts and representatives of non-profit conservation organizations and governmental institutions participating. 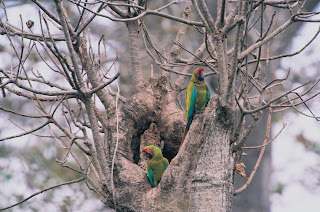 The Pro-Forest Foundation continues to work to implement the national conservation strategy through the strengthening of laws and regulations to protect the macaw’s habitat, construction and placement of artificial nest boxes, working with local landowners to implement conservation programs for the Great Green Macaw and other flora and fauna on their lands, etc. With its close proximity to the rapidly expanding city of Guayaquil, and pressure building to convert the forest into squatter settlements, the future of the Cerro Blanco Protected Forest depends on integrating its neighbors in the conservation of the area, with tangible benefits for surrounding communities. In order to accomplish this, the Pro-Forest Foundation initially focused its work on the community of Puerto Hondo, located in a transition zone between the dry tropical forest of Cerro Blanco and the mangroves of the Gulf of Guayaquil. The two ecoregions were once linked, allowing for genetic interchange of plant and animal populations, but urban expansion has cut off all access, except by air and the streams that flow into the mangrove estuary. A symbol of this connectivity between ecosystems is a resident population of 120 Red-fronted Amazon Parrots Amazona autumnalis lilacina move daily from their night roosting sites in the mangroves, to the dry forests of Cerro Blanco, where they spend the day feeding. 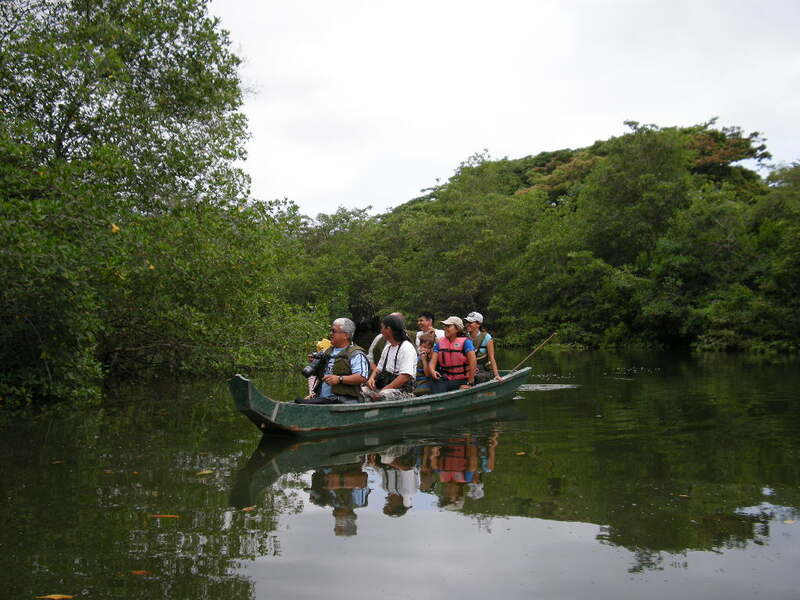 To protect the mangrove home of the Red-lored Parrots and many other species, the Pro-Forest Foundation has worked since 1995 to support a youth environmental club in the community of Puerto Hondo. Activities have included the support of a mangrove ecotourism project, with local youth working as guides on canoe trips, promotion of the ecotourism program and the construction of a community environmental education center, the first of its kind for the city of Guayaquil. The Pro-Forest Foundation has worked since 2005 to set up and support groups of community park wardens, who support the work of the Pro-Forest Foundation in and around the Cerro Blanco Protected Forest. 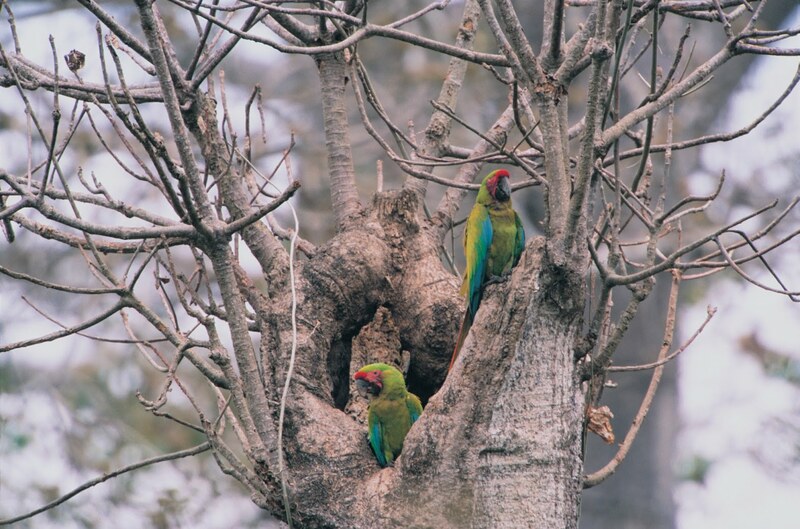 Community wardens have been trained as parabiologists, to register sightings of Great Green Macaws and other wildlife species of interest, such as Jaguars. Park wardens have benefitted from organic home gardens set up with the support of technicians from the Pro-Forest Foundation. Experience worldwide has shown that protected areas in general are not self-sustaining economically, as administration and protection costs outweigh income generated from ecotourism, etc. The creation of a trust fund with financial contributions of both international donors and Holcim Ecuador will generate a source of funding for foundation and protected forest administrative costs, freeing resources to be used in field conservation programs. In a rapidly changing landscape, Cerro Blanco is increasingly becoming an island, cut-off from adjacent dry forest and mangrove ecosystems, especially through urban development. Based on the needs of the Great Green Macaw, Cerro Blanco’s flagship species, a 49,000-acre area has been proposed as a biological corridor. Financial resources will be employed in working with local landowners to conserve and/or restore native forests on their land to insure connectivity between the Cerro Blanco Protected Forest and adjacent private lands. This will improve dramatically the long-term survival rates of many species, besides Great Green Macaws.